China's search engine giant Baidu Inc has become the first Chinese member of the U.S.-led alliance on artificial intelligence (AI), the Partnership on AI (PAI), which is committed to addressing the challenges and impacts of artificial intelligence. 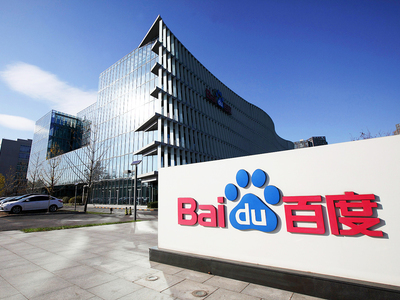 The U.S. supergroup on PAI development said in a statement Tuesday that Baidu has in recent years involved into a diverse technology conglomerate, with ventures in autonomous driving, smart assistants and AI platform services. Baidu has pushed forward with a series of initiatives aimed at limiting AI's unintended consequences as the Chinese internet leader has taken "safety and security" as its first principle in the development of autonomous driving, the PAI said. Baidu is currently working on three new AI products, with Apollo being the largest open source autonomous driving platform. Its two other AI products are DuerOS, a voice enabled digital assistant, and Baidu ABC, a smart cloud for the enterprise market. "Admitting our first Chinese member is an important step toward building a truly global partnership," said PAI Executive Director Terah Lyons. The growth and scope of work on AI in China is extensive, and any conversation about the future of AI that does not involve China is an incomplete conversation, Lyons said. Baidu President Ya-Qin Zhang said AI's safety, fairness and transparency should not be "an afterthought but rather highly considered at the onset of every project or system we build." He added that Baidu's AI leaders will join the existing PAI Working Groups and forthcoming lines of programming to help develop policies, tools, and principles that will drive responsible AI development. The PAI, which includes some big-names in Silicon Valley such as Apple and Amazon, was set up in 2016 to formulate the best practices on AI technologies and advance the public's understanding of AI evolution. What 'kills' Qualcomm's chip JV in Guizhou? All rights reserved. The contents of this website may not be reproduced or usedwithout permission from NBD.